We often work with Oxfordshire County Council's Public Health Team assisting them spread their health messages with use of Promotional Staff. Together with 5 members of the Public Health Team and a team of professional Nurses our aim was to encourage football fans to go through a mini health check during half time. We each were given an area where we were to canvass for footy fans encouraging them to take part. Our efforts were successful and we had queues in each of our sections waiting to be health checked. Each person was quickly evaluated and given a mini report. Those who the nurses felt needed further investigation were encouraged to visit their Dr for a full health check. 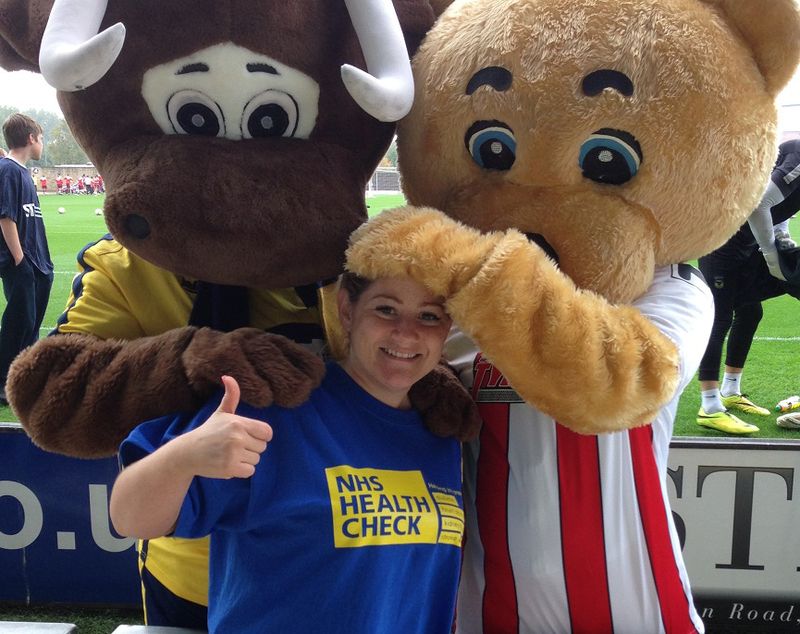 Once the match started half of the promotional staff encouraged kassam employees to have a health check. The other half leafleted around the outside of the Stadium. After the match was finished the indoor team met up and assisted the other half of the team to target fans leaving the venue. This was a specially targeted campaign and we were delighted to exceed the clients interaction expectation.